Artificial intelligence is a known phenomenon in the world today. Its root started to build years ago but the tree started to grow long after. 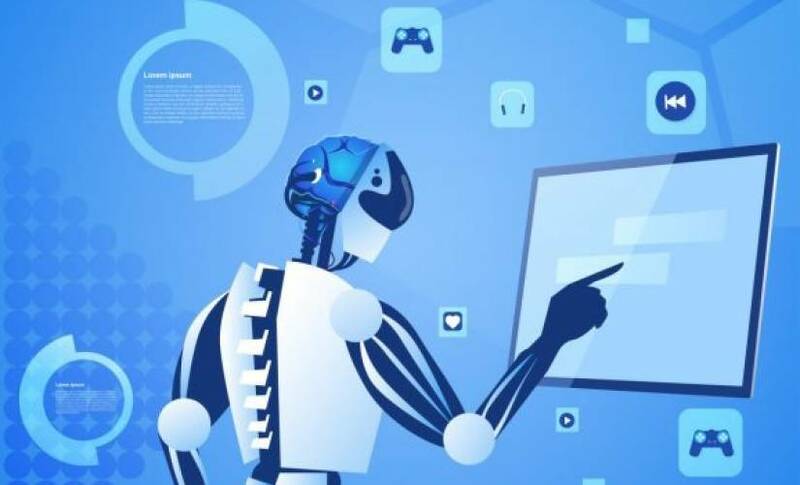 Right now, artificial intelligence is at the complete stretch and with increasing knowledge of what its potential is, the world is jiggling with it. Now when developers and thinkers have known that the elasticity of artificial intelligence in infinite, they are stretching it into every possible direction in every possible way. Earlier a question rose everywhere, a question that targeted every known face and name in the field of artificial intelligence. Months ago when our beloved google assistant made her first call to book a haircut appointment in the Google IO event, the phenomenon shaped itself into a whole new form. Everyone is convinced that artificial intelligence and now machine learning too are gaining their power to full expansion. This made us think about automation in every direction. Why not automate the website making process? Website business and the processes of building them, static websites, CMS, Drupal, Hugo, WordPress, various languages involved like HTML, JS, CSS and many more have magnified on a huge scale. Not everyone can learn everything, therefore the implementation of AI into this can change the phase of the world. There are many reasons to use artificial intelligence in website development. Artificial intelligence combined with machine learning to give a better review of what people seem looking for on your site. It also keeps a record of what they don’t want, anything that is creating the problem. This will create client awareness for owners, and they will be able to improve their products. If you own an e-commerce website and you know exactly what a customer wants, you will bear profits. Constructive use of Artificial intelligence will bring you profits in a neater way. Voice searches are the next big things now. Siri, google assistant, Cortana or other voice search software are deeply affecting the searches on the internet and their speed. Recently, the voice search option is used on many e-commerce websites. Also, known as the virtual shopping assistant, they are popular among people of every age because even when some are hypermetropic, they can always instruct by their voice commands. Forecasted; that by 2021 all the largest e-commerce website available on the internet will use voice search to lure more and more customers. Since AI has brought in the latest feature of chatrooms, interaction level of customers has increased by majority percentage. With the developing technology of artificial intelligence, chatrooms are becoming more natural. They are starting to give more humanly feel. Well, a customer doesn’t need to search for everything himself. Just type into the chatroom and voilà, his query gets answered. Implementing this AI has visibly increased customer interaction in every business. You will know your targeted audience. You will know which of your subscribers want what kind of products. Hence, you can narrow down the marketing and eventually target everyone GroupWise. What kind of devices are people using to reach your site? What kind of channels are they using? Normally, over-marketing leads to irritated customers. No- one likes to see his e-mail filled with news about stuff he doesn’t want. So, your company’s name remains safe from the hands of people. Therefore, artificial intelligence is a useful resource in website development. But what about website building process? If build manually, each website takes months of time to come into existence. Have people already tried to work on this? If yes, to what extent were they successful? .Although, a lot of hands have worked in baking this cake for a long time, yet, there has not been a ‘that’s it’ outcome. With the user base of 119 million, Wix is one of the top website makers which is using artificial intelligence. This is a simple pick and drop software where you can choose colors, fonts and minor sort of elements and the software builds the website for you. It has over 500 templates, all with modern approach and style, an AI bot that helps communicates with users for better results. But this software comes with many cons too. Wix is a huge name and therefore has a large market. Due to increase in demand, it has over 500 templates, which gives a wide range of choice. 27/7 help fro every element. There is a help button with every feature so that the user doesn’t have to go anywhere for help or support. Also, there is a calling option and it is open all the time. Now, this is something. Its main method to build is pick and drop. Now, there is no doubt or denial that this is the most innovative scheme ever used, is there? With everyday evolving and addition of new features, Wix is a right on option for users. An automated process but still you cannot switch the template after the website is built. So, when a customer starts, he needs to take a proper time to select his template. Trying to change it later, he will have to build another website from scratch. One of the most reasons that Wix is popular is that it is totally compatible with small and medium-sized businesses. If you have to build an e-commerce site to sell limited products targeting smaller audience, this website builder is perfect but if you have larger ideas for your business, Wix doesn’t support. Molly is another artificial intelligence powered website that has features of automatically cropping images and choosing pallets. At the time of Molly’s launch, this feature was new but eventually, it couldn’t win over the hearts of people. Users complained that the website created by Molly was pretty standard and even if they tried to customize it, it was difficult. Reddit, also known as the developer’s Facebook sparked by some really harsh and straightforward reviews. Some of them were so on-point that they got displayed on various websites as a review of Molly. This is a software where Artificial intelligence and Machine learning combiner to give out the best user experience. Firedrop brought Sacha to life, a chatbox that talks through the process of building a website. In its toddler year, Sacha was a drag and drop builder. It eventually got converted into a ‘chatty’ chatbox. Now, this may look like an overall development software but it needs a developer that can instruct everything to finish line. Firedrop is rated as one of the best AI-powered website building software and there is no nixing in that but it cannot be said as a 100 percent winner. Still, it has been reviewed to have various problems like ads and complexity. However advance AI has tried yet, it has not reached the mark where you enter a domain and boom, here is an all-responsive and beautiful website. Yes, there are various software in the market just like Wix or Molly but they don’t deliver everything that is ideally desired. Some contain one bit and some contain two but none is a full package. We know that everything comes with its pros and cons but if Artificial intelligence will not server perfection, we don’t know what will.